EK Jewellers is an independent Barkingside jeweller with a reputation for quality products and services. We specialise in everything you need from a local jeweller from expert jewellery repairs on the premises, to fitting a new watch battery and providing inspiration for beautiful bespoke jewellery. EK Jewellers was established in 1973 and continues to offer the same independent services with an emphasis on a personal, friendly touch from our shop close to Hainault Station. We're a family-run Barkingside jeweller and we've built up four decades worth of trust with our reliable services. For added peace of mind we're National Association of Goldsmiths approved. We provide customers new and old with services ranging from jewellery repairs on the premises through to rhodium plating to restore white gold jewellery and providing inspiration for completely unique handcrafted jewellery. At EK Jewellers we know that your jewellery is as unique as you. Therefore, we offer inspiration for bespoke silver jewellery and handmade jewellery ideas. For weddings our handmade wedding jewellery guarantees bespoke pieces to celebrate your happy union. Commissioning a piece of bespoke jewellery is the perfect personal gift or can make the piece you've always dreamed of a reality. Because we know how precious your jewellery is, we offer a repair service that is designed with reliability and trust in mind. If you need a jewellery repair in Barkingside, you can trust EK Jewellers to treat your pieces with the utmost care and respect. All our repairs are completed at our Hainault workshop so you know where your beloved jewellery is at all times. Call in to the shop or give us a call on 020 8500 3191. We're locally based in Hainault, close to Barkingside. Bespoke jewellery is our speciality and our handcrafted silver jewellery brings customers from all areas to our shop. White gold and platinum jewellery holds a timeless elegance so it's no surprise they're two of the most popular materials for quality jewellery. 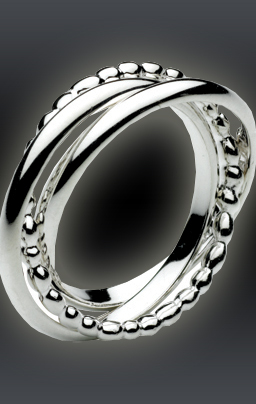 Like any material however, white gold and platinum both fade and lose their lustre over time. This is caused by the top layer of rhodium fading. Happily this is a process that can be halted and repaired. 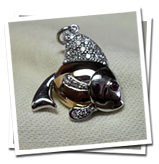 Rhodium plating platinum jewellery, and white gold too, brings back the original shine the jewellery has lost. To bring platinum and white gold back to its former glory our experts offer rhodium plating on the premises. The layer of original rhodium is gently removed by polishing it off and a new fresh, even layer is applied. 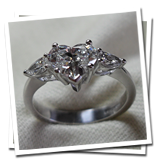 To safely restore platinum jewellery, Barkingside clients trust EK Jewellers' rhodium plating experts. For more information visit us at our shop near Hainault Station any day except Thursday and Sunday. Could you use the services of a reliable, established local Barkingside jeweller? For inspiration on bespoke jewellery, jewellery repairs on the premises or perhaps just for a new watch battery, give us a call on 020 8500 3191 or call in to see us at 132 New North Road. We look forward to meeting you.